Volvo XC90 price in Delhi starts from Rs. 80.90 lakh (Ex-showroom). XC90 is available in only 5 variant. 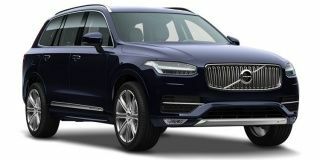 Volvo XC90's top competitors are Volvo XC60 (price starting at Rs. 52.90 lakh in Delhi) and Land Rover Range Rover Velar (price starting at Rs. 72.47 lakh in Delhi). It is not hassle free. It is cumbersome. But the latest models have automatic systems for the 3 rd row. Q. Can we compare XC90 with land Cruiser Prado? Q. Is it better then BMW X5? Q. Does the 7 seater XC 90 have rear seat entertainment? No, there is no facility to control entertainment system from rear seat.